Department of Health Memorial Service for Director Loretta Fuddy who died in a small commuter plane crash Wednesday afternoon. Memorial for Department of Health Director Loretta Fuddy. 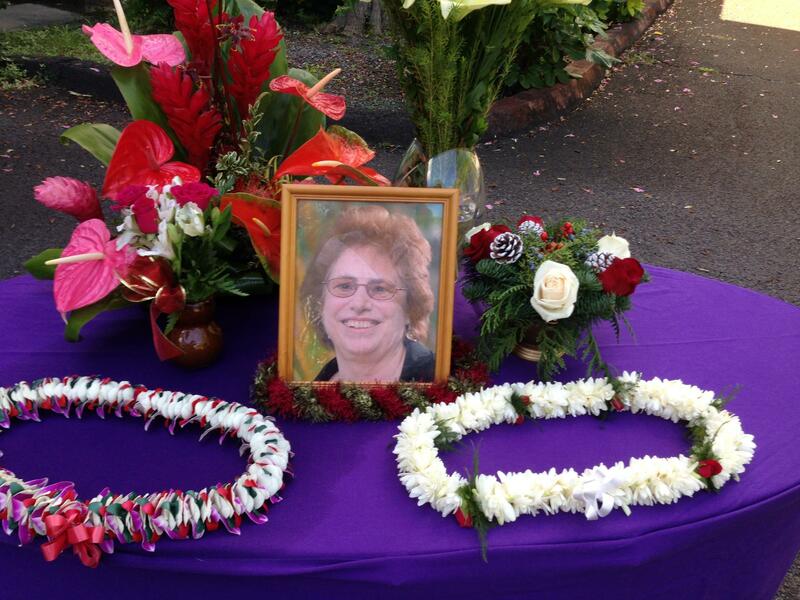 State Department of Health Director, Loretta Fuddy, died in a light plane crash off the island of Moloka’i Wednesday afternoon. The single-engine Makani Kai commuter plane, with 9 passengers on board, crashed into the sea about a half-a-mile from the Kalaupapa Peninsula. Director Fuddy and Deputy Director, Keith Yamamoto, were flying back to Honolulu following their annual visit to the former Leprosy Colony. The Department of Health conducted a short memorial service for their Director along with other state officials and the Governor. Fuddy’s niece, Kimberlee Rene Greer, thanked the attendees.